There are similarities: the open thrust stage here, as in Sheffield, is just perfect for big expansive dance numbers, especially when they are this well-choreographed, and also able to play on an intimacy with the audience that most London theatres would kill for; and Daniel Crossley is in both, he may be in a supporting role here but to my mind, he is one of our best all-rounders, I could watch him dance for days; and they’re both ‘out-of-town’ shows, I’m not sure how much of a difference it really makes, but it is hard to shake the feeling that had they originated in London, they’d be less ensemble-oriented, less fun and more cynically post-modern. Dodgy attempt at analysis aside, this production of Singin’ in the Rain is seriously about as much fun as I’ve had in the theatre in ages. All aspects of the production are great but Andrew Wright’s choreography is a thing of true delight. Routine after routine is filled with invention, wit and just beautiful, beautiful images, whether the daydreamy duet, the big Broadway Ballet, the big number with all the girls dancing on an aeroplane, the ebullience of the three leads skipping through Good Mornin’, the boys having their fun in the goofy Moses or the absolute delight of the title track, complete with considerable amounts of water! Everyone delivers it perfectly, but more importantly, looks like they’re having the time of their lives: this is the type of show that truly makes you want to investigate dance lessons. The story, for those who do not know, revolves around the arrival of the talkies in 1920s Hollywood. Queen of the silent screen Lina Lamont’s dominance, alongside screen partner Don Lockwood, is threatened as she has a screechy Brooklyn accent that she can’t shake and she soon finds herself being dubbed by her enemy Kathy Selden, who just happens to also be head over heels for Lockwood who falls for her too, as they all battle to save their careers with the help of Don’s ingenious best friend Cosmo. The show is just full of spectacular energy, even when they are not dancing, and crucially there’s lots of humour – the film clips of the silent movie “The Dueling Cavalier” are worthy of a Victoria Wood show as is the test run of the first talkie – I really wasn’t expect to laugh quite so much. More often than not, I find myself drawn to supporting characters rather than the leads, they always get to be more interesting! (see Eponine over Cosette, Anita over Maria etc) And so it was here with Katherine Kingsley as the squeaky-voiced Lina whose career is most threatened by the impending dawn of the new age. She is huge amounts of fun as the dumb blonde, ostensibly a schemer but not quite malicious and combined with her impeccable comic timing, she is simply irresistible: the word ‘can’t’ will rarely have made people laugh so. But Scarlett Strallen does extremely well to inject enchanting personality into Kathy without making her too wholesome and annoying and she sings and dances like a dream. Likewise with the boys, Adam Cooper’s easy elegance in any dance routine makes him highly effective and quietly charismatic, blending well with Strallen. But I was always drawn to Daniel Crossley as his best friend Cosmo, blessed with lots of sharp one-liners, pratfall-filled humour ( plus a stronger singing voice than Cooper dare I say it) and exuding the kind of ebullient enthusiasm that demands the eyes on him. But there’s something delicious about the strength of this foursome, something remarkably unselfish and this extends to a talented ensemble who are given much to do with countless small parts but delivering polish from start to finish: if I had to pick favourites, Ebony Molina’s dancing is just fabulous and Brendan Cull has a charm about him that makes me want to see more of him. I feel like I could write for days about how I loved this show, and I am seriously considering making a return visit. Rumours abound that it might transfer into the Palace Theatre, but then there was talk of Me and My Girl making it down to London and that never happened, plus whilst the opportunity to see it in its original staging still exists, I couldn’t recommend it more. I watch shows like this, my spirit rises and I smile for days afterwards at the merest memory of it, and I really do wonder how could anyone profess to not like musicals! Note, if you are in the front row or two, you will get wet – I was soaked by the end of it!! I saw Singing In The Rain in Chichester during this and was seriously impressed. 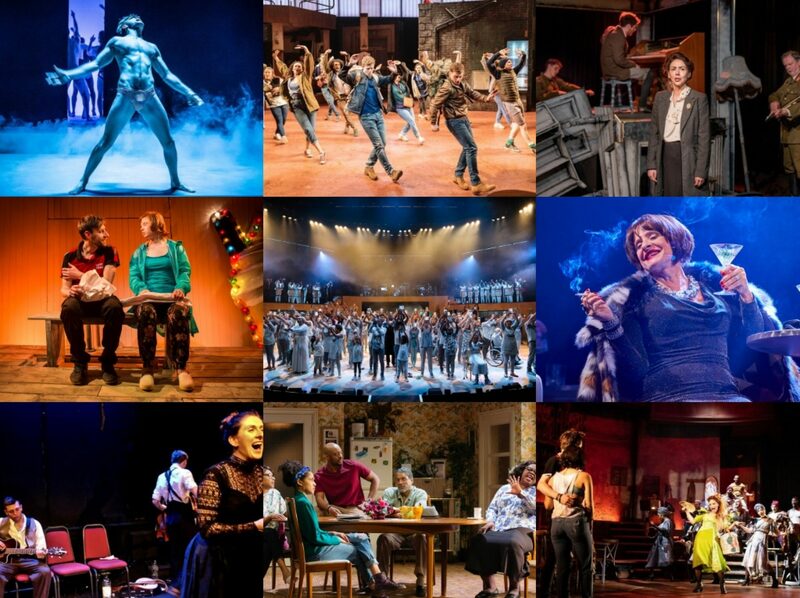 Glad that these musical is coming to London's West End now. 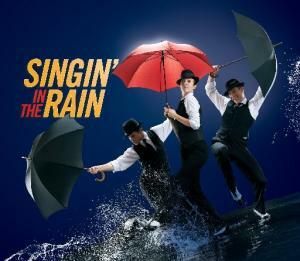 Thanks from Singing In The Rain Tickets London for this post.